The Hillsville Flea Market consumes the entire town of Hillsville. Antique dealers, gun dealers and traders of all kinds make this one of the largest shows in the southeast. 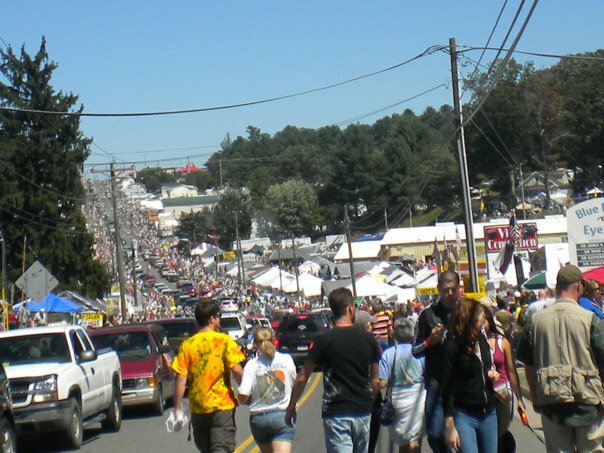 Hillsville expects to draw over 500,000 visitors this Labor Day weekend. Vendors set up their tent shops down the streets, inside the massive VFW parking area, and throughout the surrounding fields affectionately named “Bowman” and “Hunley”. Surrounding the flea-market area are hundreds of yard sales. The Hillsville Flea Market and Gun Show is a great place to find deals on antiques, furniture, vinyl records, books, baseball cards, coins, guns, comics, old pictures, army surplus, signs, clothes, gadgets, toys, knifes, collectables, tools, socks, and so much more. This event is sponsored by VFW Grover King Post 1115. 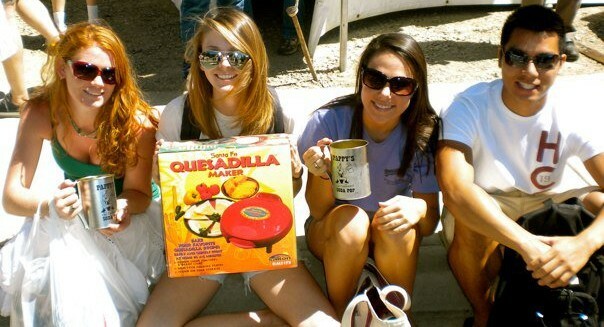 The Flea Market begins on Friday and continues through Saturday, Sunday, and Monday. Vendors can start selling at 7 am and most close up around 6 p.m. To find a good parking spot and to avoid traffic it is best to get an early start. We have a list of recommended parking. The going rate for all day parking is around five dollars. To help in planning your visit to this event we have gathered information on area Lodging, & Restaurants. You’ll also find a link on traffic information from VDOT as well as the current weather conditions. Photos From 2010 Flea Market. Found great rustic and country buckets for centerpieces. 1 block south of the intersection of 221/58 and Main St. Features; close proximity to VFW, shaded resting shelter and bathrooms. Worrells Flea Market Parking 331 West Grayson St.
Have information to list / update on this page? email kenneth@hillsville.com.